This looks great! 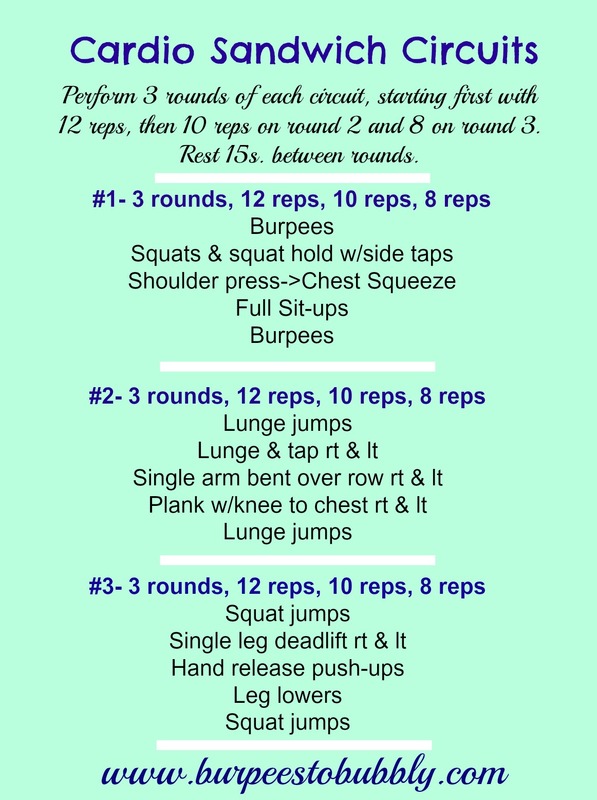 My workouts are a bit slowed down these days with more rest breaks needed, but I’ll definitely give this a try next time I do a home workout! This is definitely adaptable to more breaks- I may have taken a few after the burpees 😉 Let me know if you try it! I can’t believe you had a snowstorm this week! Crazy weather. Thanks for the awesome workout! Can’t wait to try it. seriously!! Not a fan of the rain, but at least it’s melting snow 🙂 Hope you try this- let me know what you think! your workouts are so creative! And i like that its a cardio sandwich. yes, I do want a sandwich now. Aw, thank you! I try my best to keep them different. I could go for a good sando, too!